The Impala. A creature known for its graceful movement and athletic ability. 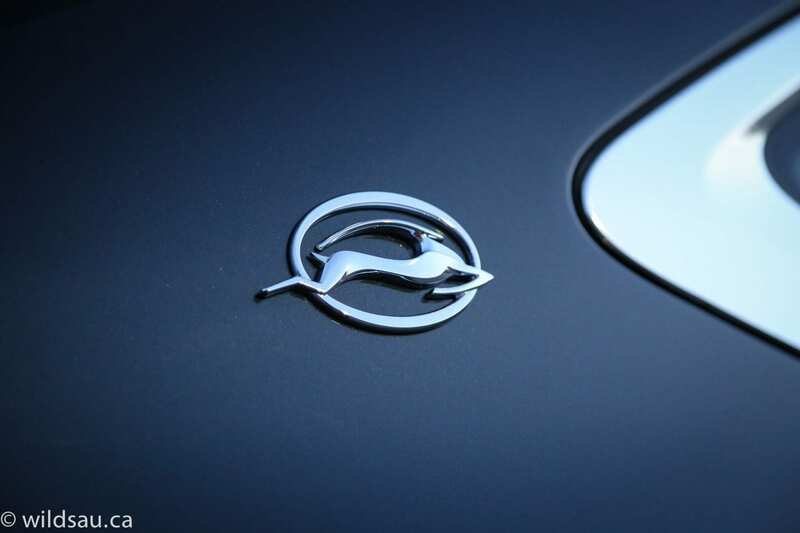 So why did Chevrolet name their biggest car after this animal? 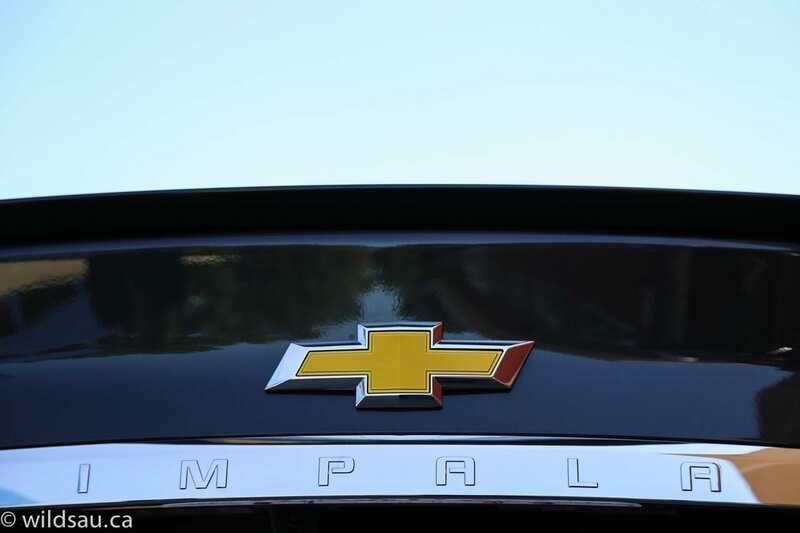 Well, whatever the reasoning, the Chevy Impala nameplate has been around for a long time. 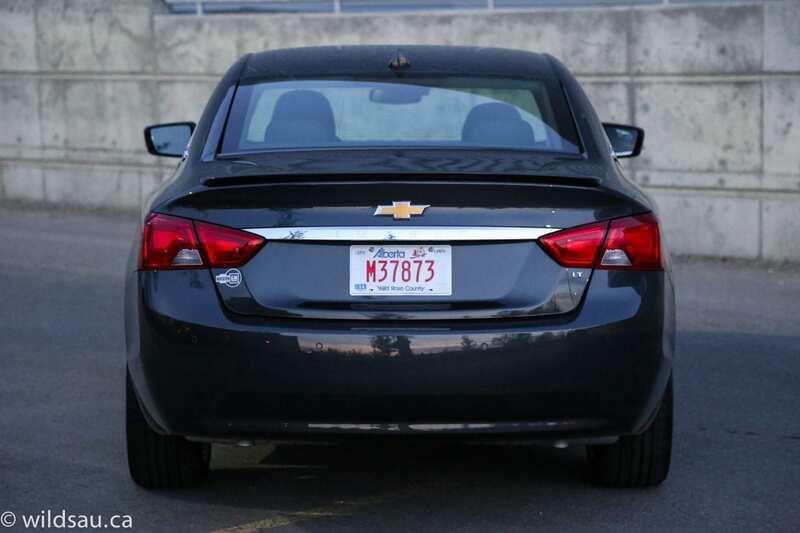 In the yearbook of cars, it has been consistently voted in as “Most Likely To Be a Rental Fleet Car or Taxi Cab”. Many have had their ears to the ground, and their eyes peeled for this, the 2014 model. 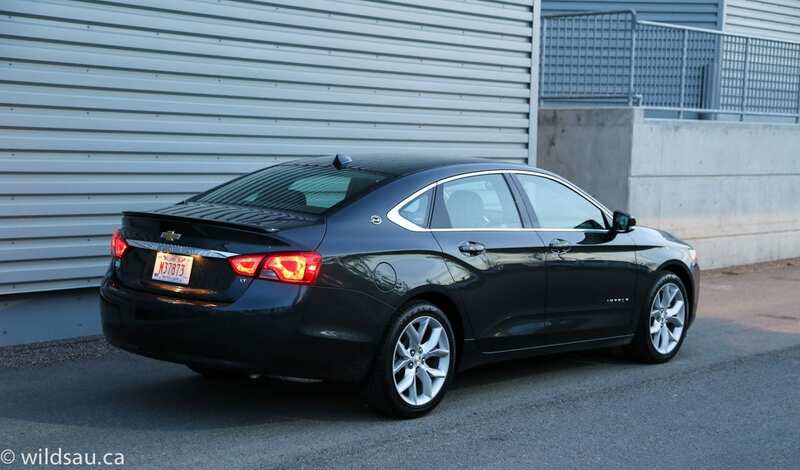 It was time to see if GM had turned a corner and continued on the path of building great cars like they had with the Cruze, or if they’d continue to drop the ball here and there and give us another turd named Impala. 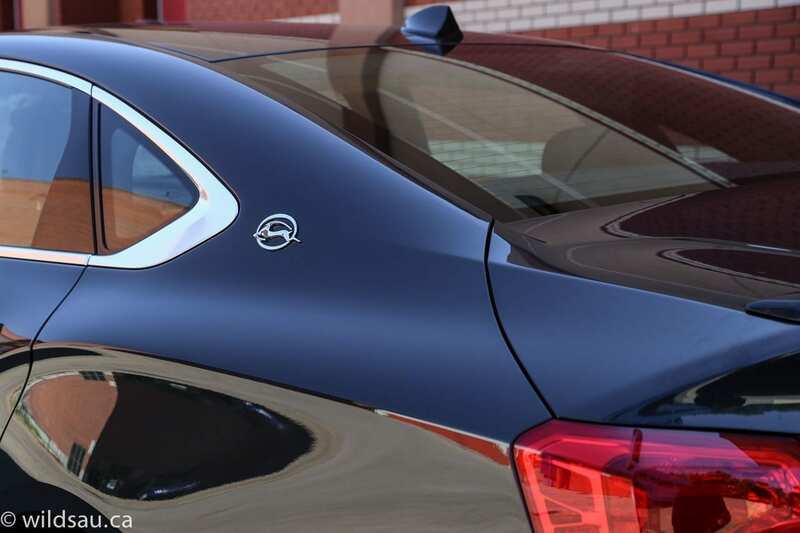 Don’t get me wrong – the previous generation Impala wasn’t a complete turd. But it certainly fit the mould as a blah-mobile and left plenty of opportunities for improvement on the table. And Chevrolet definitely delivered. Let’s have a look at the bowtie’s new flagship with a familiar nameplate and see what they came up with. Pulling this big beast around town is a direct-injection 3.6-litre V6. 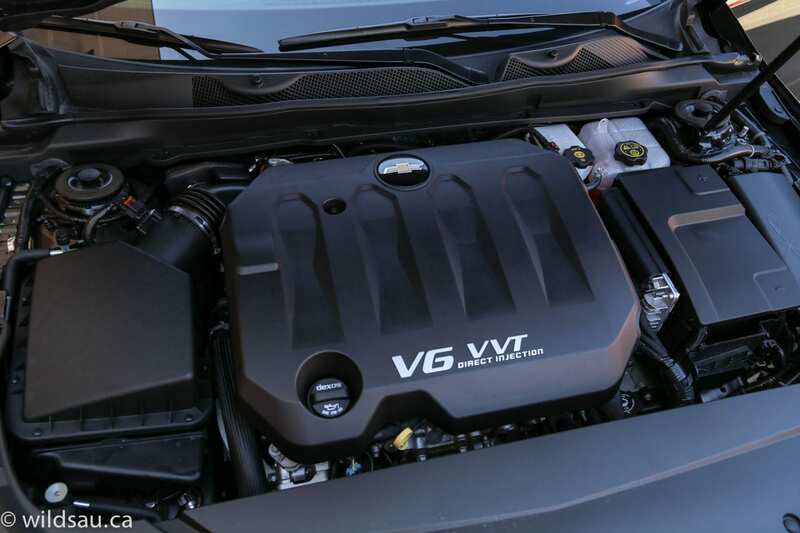 It puts out a healthy 305 horsepower at 6800 rpm and 264 lb.-ft. of torque at 5200 rpm. Soon, Chevrolet will offer a 4-cylinder and a mild-hybrid e-assist drivetrain as well. 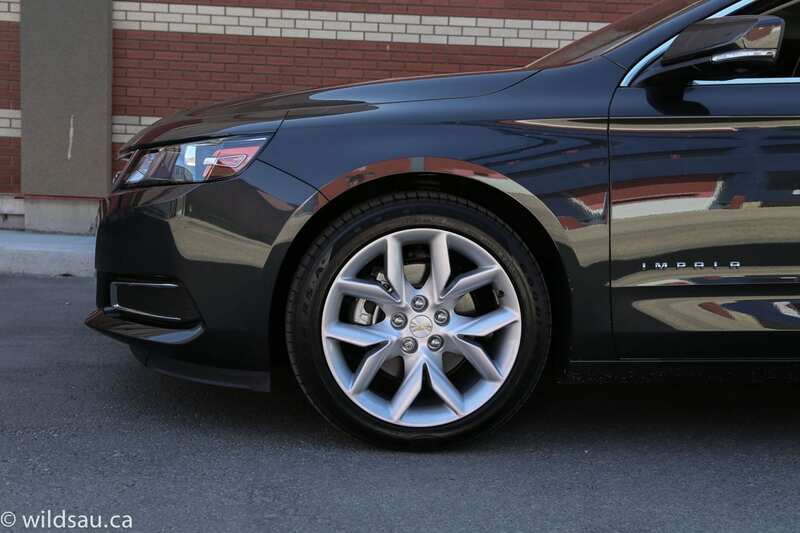 The Impala is front-wheel drive and has a 6-speed automatic transmission. Fuel economy is rated at 11.1 L/100 km (21 mpg) in the city and 6.9 L/100 km (34 mpg) on the highway, and it has a 70 litre tank. In my week with it, I drove mostly in the city, and probably a bit more aggressively than I normally do, throwing in a couple of freeway drives and one run down the highway. I averaged 12.1 L/100 km (19 mpg), which isn’t bad at all. Despite its size, the Impala (in this trim) weighs in at a very reasonable 3,682 pounds. In this segment, styling isn’t always the first thing that comes to mind. 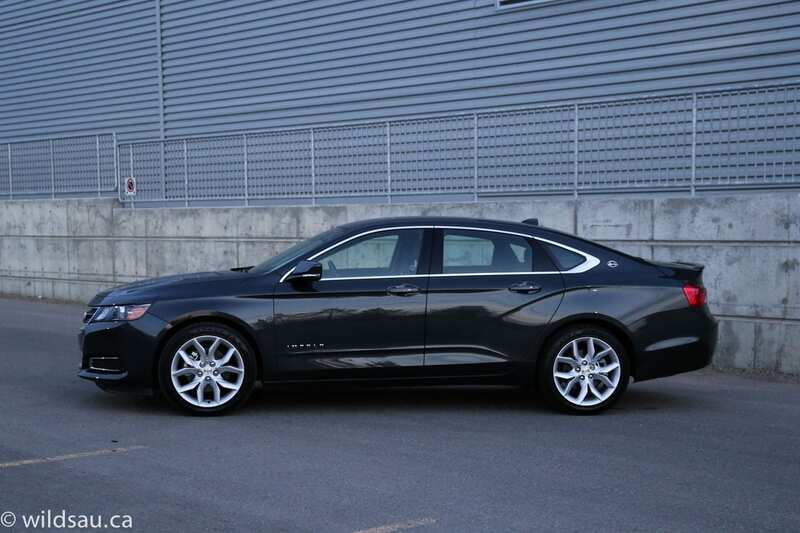 Large flagships that are priced within reason have often been lacking in terms of the exterior wow factor, and the Impala has been no exception. Recently, the Toyota Avalon debuted a very slick new look and became, in my opinion, the looker of the bunch. 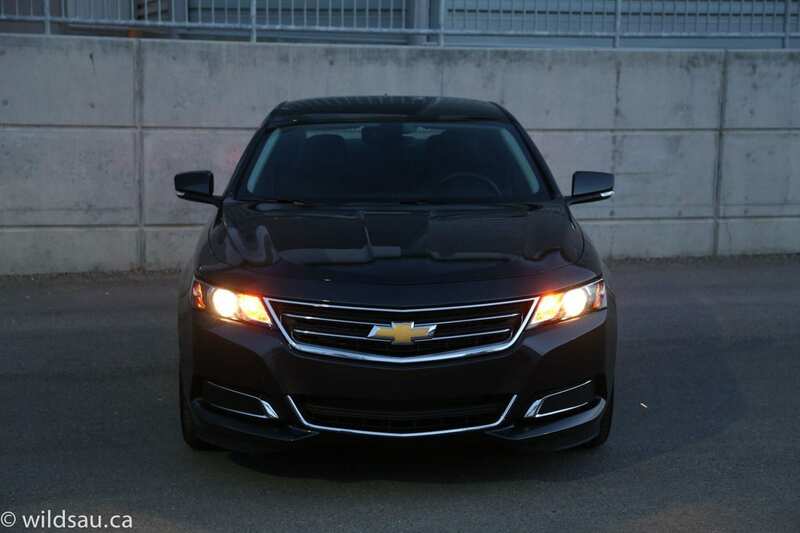 The 2014 Impala’s bold and assertive stance easily brings it up to the front of the pack alongside the Avalon. I really like the sculpting that Chevrolet has done here. 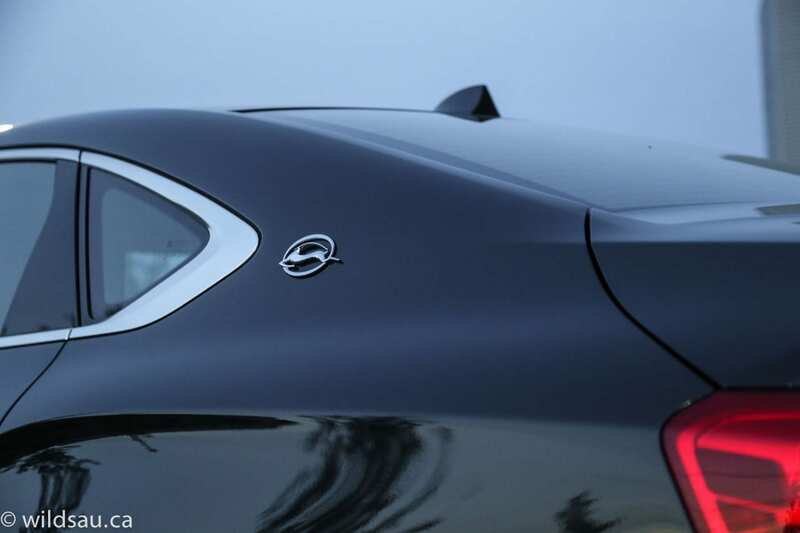 The silhouette of the new Impala finally evokes some emotion, and they’ve thrown some very nice details in – a powerdome hood, a wide chrome grille (that looks good!) and detailed projector-beam headlights. As interesting as the details are, the sculpted flanks are what makes the shape. They are gorgeous, and make for an interesting view from anywhere you choose to stand. Though the car is rear-heavy with those voluptuous flanks and the massive trunk, it still looks balanced. Adding to the dramatic appearance are some head-turning 19″ rims shod in big 245/45 rubber. I thought they looked fantastic! 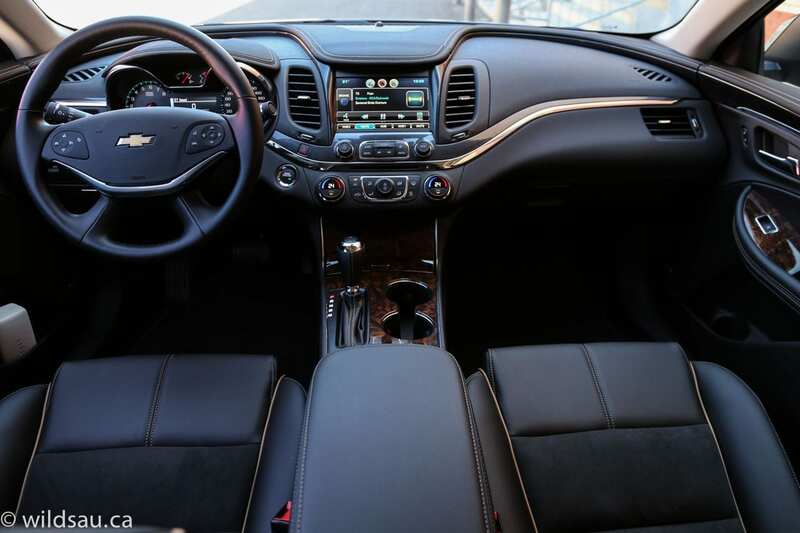 Get inside the spacious cabin, and you immediately notice that Chevrolet didn’t stop with the exterior. I really enjoyed the new take on the double cockpit styling and the dash is interesting to look at. Premium soft-touch textured plastics accentuated with French stitching make up almost every surface. Fit and finish appear to be excellent, and the interior seemed to be meticulously crafted. I found it a bit dark and the faux wood is definitely faux – but it’s still a very nice place to be. The headroom is great for me at 5’10”. The seats in this trim are leatherette with Ultrasuede panels for the seating surfaces. They’re power-adjustable, heated and extremely comfortable. I would have appreciated more bolstering, but the Impala doesn’t advertise itself as a car that you’ll go canyon carving with, so I get why it’s not there. As you move your hands around the cabin, you’ll notice that the controls have a premium feel to them as well. 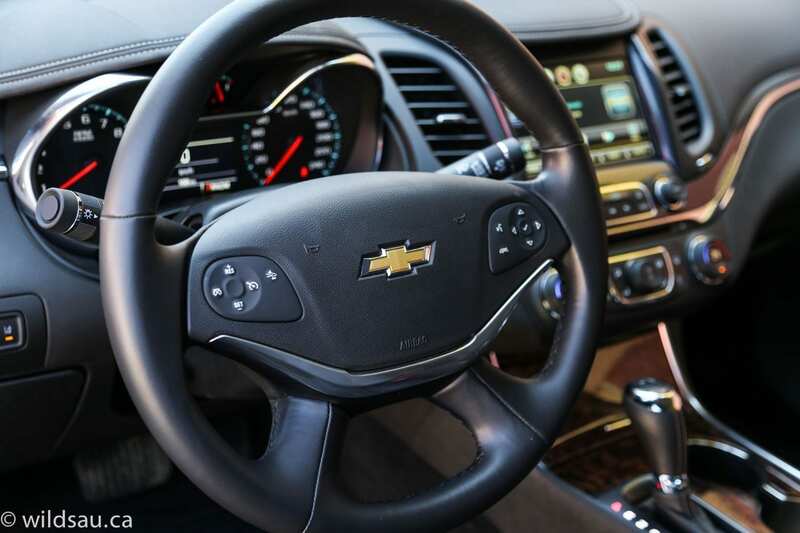 The steering wheel is large and comfortable to hold. 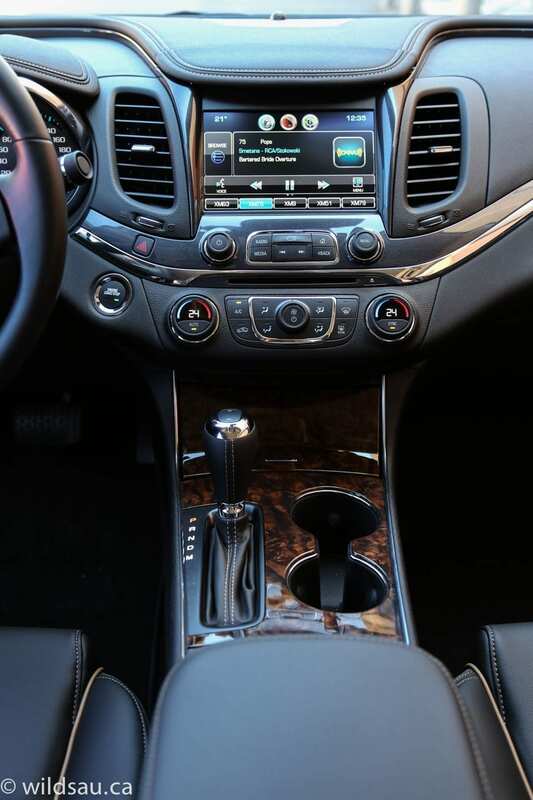 On the face, you’ll find buttons for the cruise control, the phone and the driver information and handsfree systems. On the backside of the wheel are media control buttons. 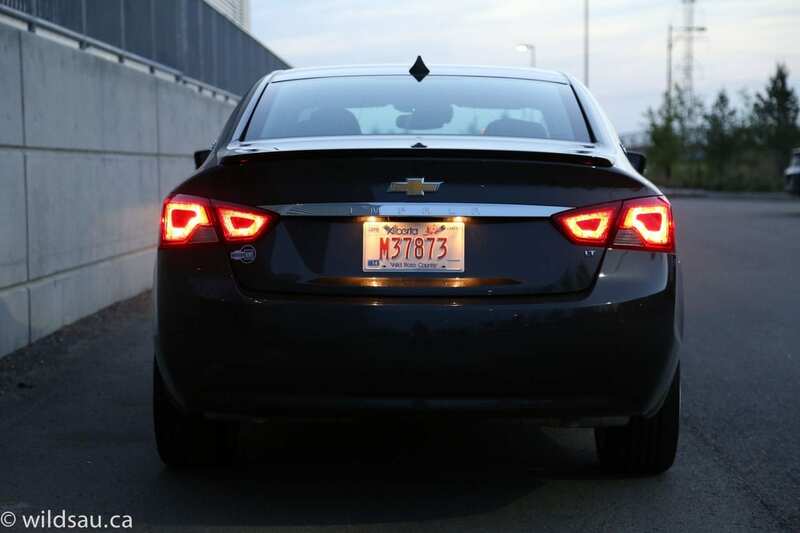 Similar to the ones that Chrysler has been using for years, they work well and are easy to use without taking your eyes off the road. Two large gauges sit behind the wheel and they’re separated by a crisp, easy to read colour driver information screen. 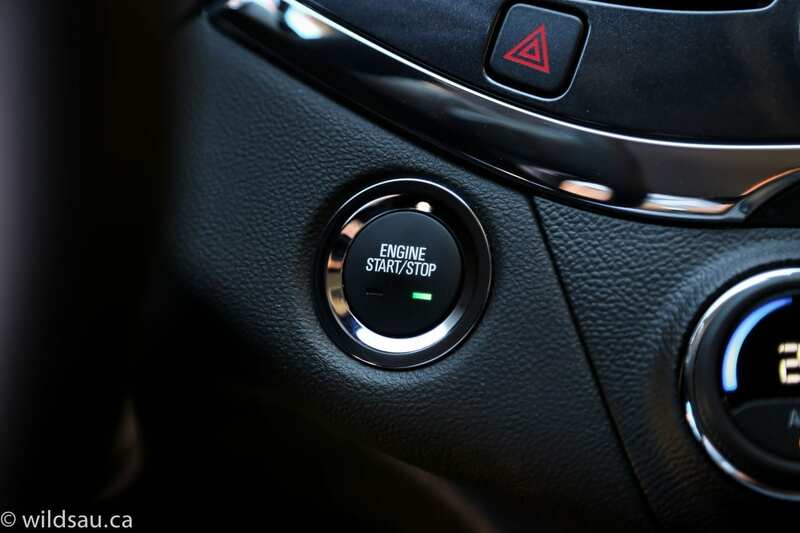 It lets you cycle through displays like a compass, the tire pressure monitoring system, instant and average fuel consumption, your fuel range, elapsed driving time, average speed and a bunch of vehicle settings. The center stack starts with an 8-inch touchscreen for the MyLink Infotainment system. It too is clear and sharp. 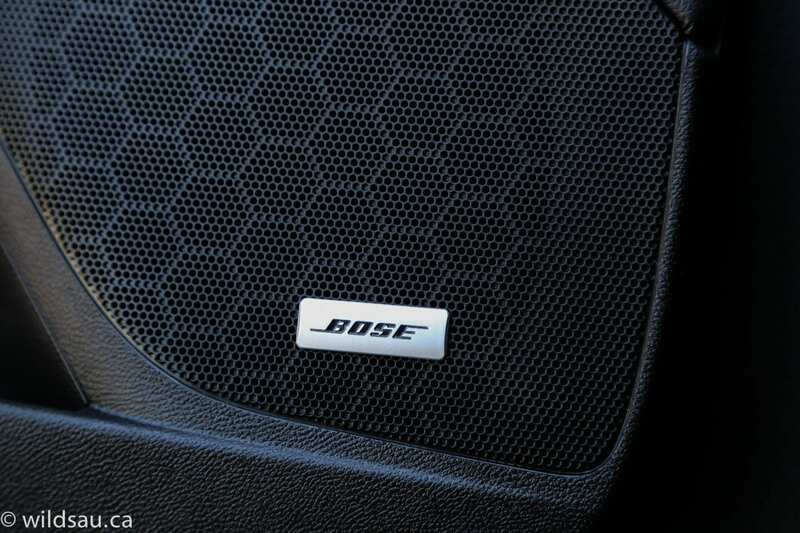 Media sources are plentiful – AM, FM, satellite radio, CD, auxiliary, USB and Bluetooth streaming audio – and the 11-speaker Bose Centerpoint sound system does a fine job. The screen also handles the navigation system and the back-up camera, which has handy trajectory lines showing you where you’ll end up as you’re backing up. Below the screen are just a few basic buttons and two knobs for the major functions. 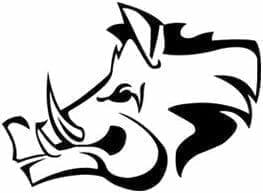 I found the design clean, simple and well thought out. At the bottom of the stack is an automatic, dual-zone climate control system. The console is home to the gear selector, two cupholders and the armrest. Driver assistance technology is pretty complete. 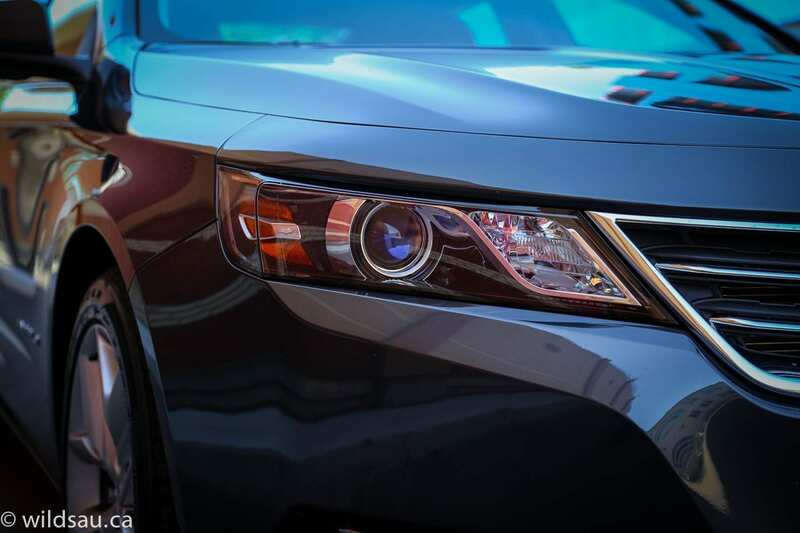 You get Forward Collision Alert, Rear Cross Traffic Alert, Lane Departure Warning and a blind-spot monitoring system. Oh and rear park assist with audible alerts. There’s a keyless access system, a push-button start, and a 3-channel universal HomeLink garage door opener. 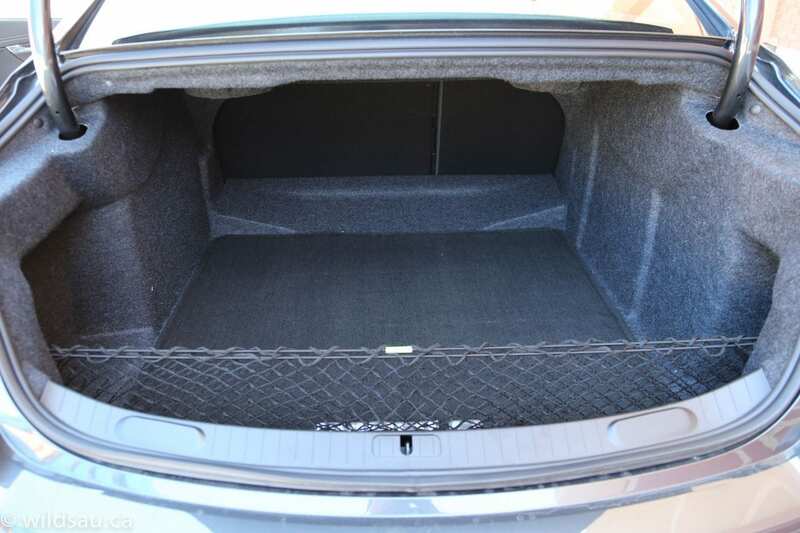 The trunk can be opened from the dash, the key fob or with a button on the trunk lid itself. Just looking at the Impala from the outside should give anyone a hint as to the enormity of the rear seating area. Even so, I was taken aback by the amount of space it offers. There are three seats, three seatbelts and two headrests – they didn’t throw in a headrest for the center seat. There is a terrific amount of leg and foot room, and headroom is plentiful too. The two main seating positions are very comfortable, and even the middle position is big enough for an adult. Unfortunately, there is a significant tunnel on the floor, making it difficult for anyone in the middle to put their feet there. So, if you needed to, you could absolutely fit three adults in the back. 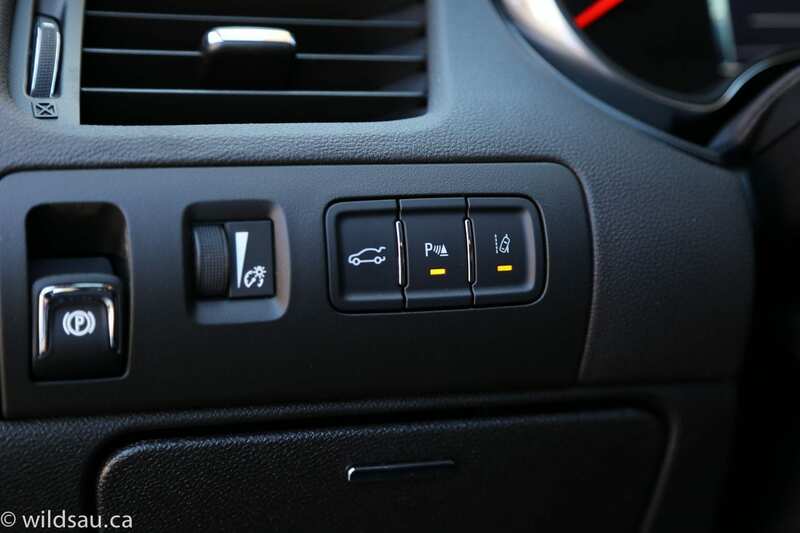 In terms of convenience, there are adjustable air vents, a 120V household power outlet as well as a 12V plug and a tiny storage cubby on the back of the center console. There are also decent door bins and two seatback map pockets. And a rear centre armrest with cupholders. Our three kids had a ton of room in the back. There are two sets of LATCH connectors for kids’ seats, and an extra anchor in the middle for flexibility. I appreciate that Chevrolet paid attention to giving us some good storage options around the cabin. At the front of the center console is a swing-up lid covering a small rubberized bin and a 12V plug. The armrest lid flips up to reveal a nice carpeted space with an upper storage tray (along with 2 more USB plugs, an auxiliary plug, a SD card reader and another 12V plug! ), the glove compartment is sizable and the door bins are well thought out. On the left underside of the dash is a flip-out bin which is padded and is perfect for loose change, etc. The trunk is a big one, offering 532 litres (18.8 cu. ft.) of cargo room. 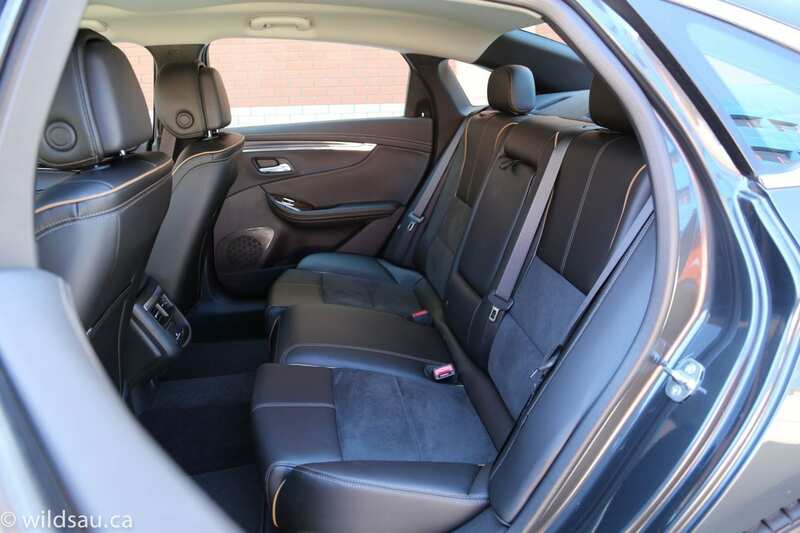 If you need more, the rear seats fold flat (splitting 60/40) and allow for a lot more space. There is a cargo net in the trunk, but no power outlets of any kind. The Impala is smooth. Almost anything you ask it to do will be done in a refined manner. It’s smooth off the line. It’s certainly not slow, and it doesn’t feel slow either, but it always feels more luxuriously relaxed than a barn-burner hot rod. Step on it though, and you’ll fly from zero to 100 km/h in 6.8 seconds. Obviously there’s plenty of power for anything you need to achieve, including passing on the highway. The smoothness theme continues with the transmission, which goes about its duties in a laid-back, almost lazy manner. Which suits this big car just fine. It has a manual mode, controlled with a silly thumb-operated rocker on top of the gear selector. The shifts are slow and seem a bit pointless in a car like this. I did find a bit of occasional lurching from the transmission, which tended to happen when I was up to speed and then let go of the gas to coast for a while. Once in a while, the downshifts would be less than smooth, so it seems like there is a bit of a programming issue there. The ride in this flagship is amazing. 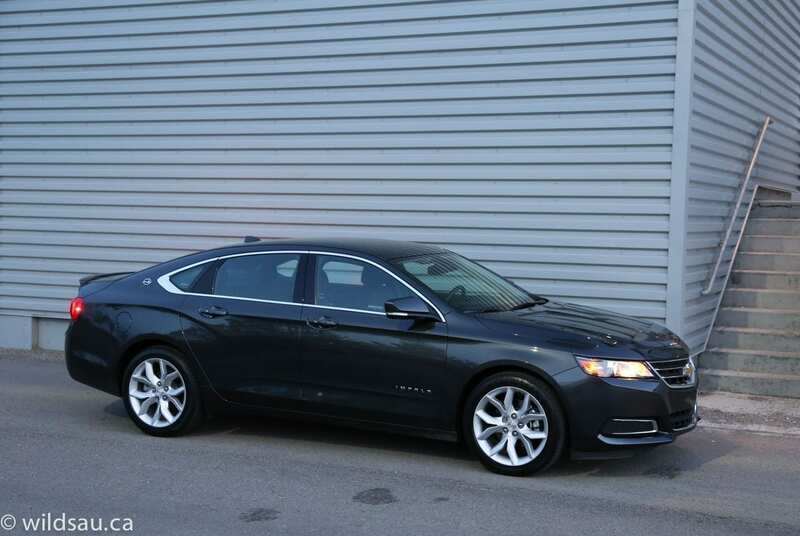 Of course, comfort has always been an Impala virtue, and it continues with the 2014 model. The suspension is firm enough to feel well-controlled and it never got floaty over any but the biggest dips on the highway, and in those cases, I appreciated the floatiness! Now handling on the other hand has been a problem. Previous Impalas didn’t appreciate when you presented them with things like corners. But the new one doesn’t mind them. Full-size sedans like this aren’t track machines, and you always expect some compromise in terms of handling. 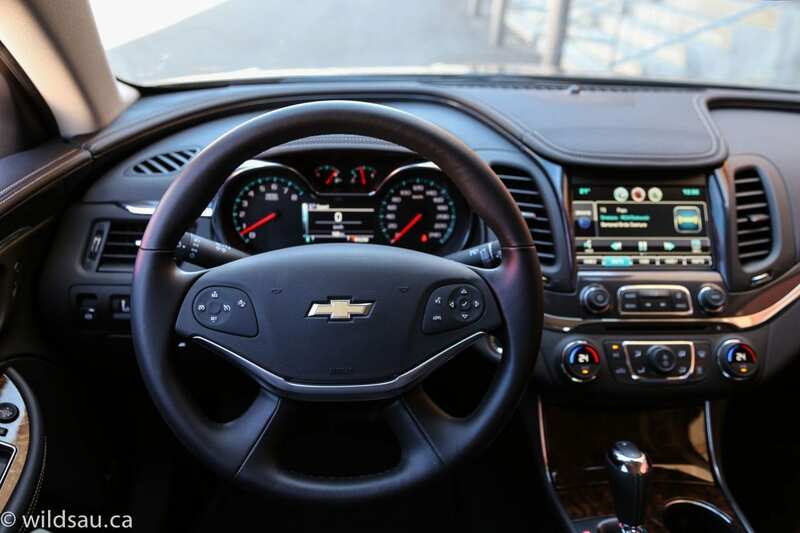 But the Impala can easily keep up with the other big boys, and though you’ll deal with plenty of body roll around the corners, you’ll always feel in control and the Impala always comes across as composed. The new variable-assist, speed-sensitive electric steering is interesting. Effort is almost negligible at low speeds, so you can crank the wheels with no problem while you’re in a parking lot. You do notice the effort increasing as you pick up speed, but I would have preferred even more of it. It is still a bit overboosted at driving speeds, and I found it was a tad floppy on center. The turning radius is quite impressive for such a big car. I actually had one occasion to give the brakes a good test when a gentleman whose phone call was more important than my life cut in front of me. They’re very powerful and offer great control. Chevrolet really did a good job with engineering the noise levels down to a minimum. Engine noises are especially quiet in the cabin, even under heavy throttle. Wind noise is a non-issue, and I only experienced some road noise on certain surfaces, convincing me that it was tire-related. 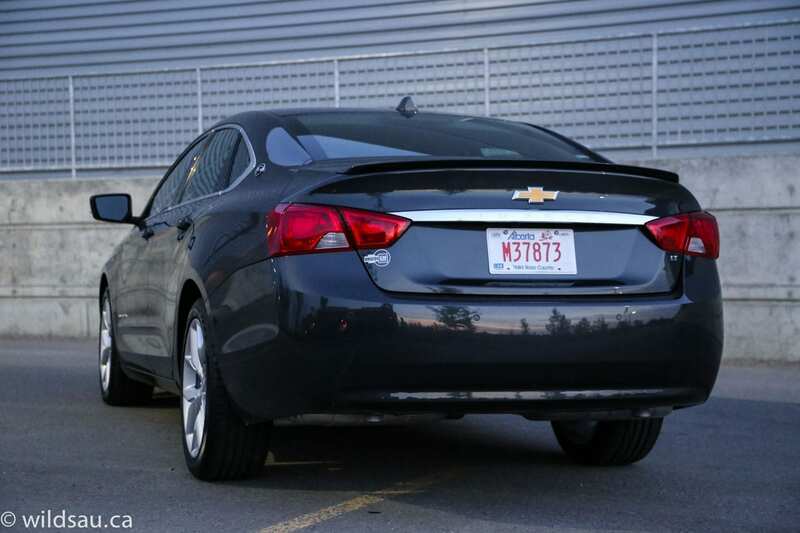 The visibility out of the Impala is great, except the rear view is a bit short. Overall, the Impala is a great car to drive, and would make a bang-up road trip vehicle. 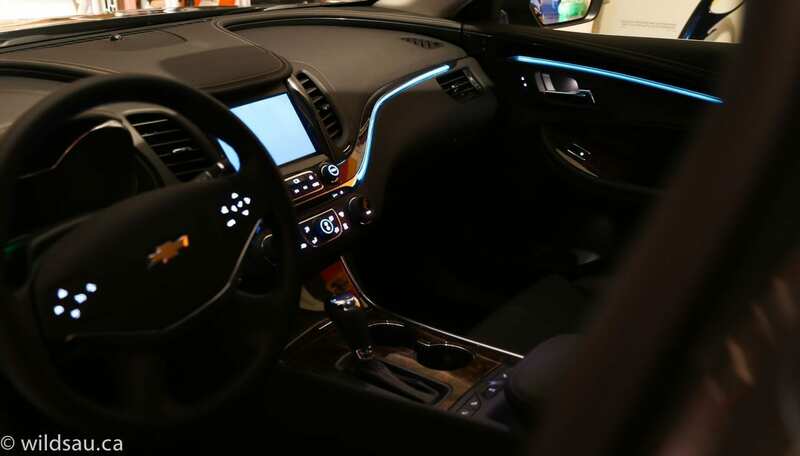 The chrome strips that make for a little contrast on the dash and door panels become an ambient lighting system in the dark. Very cool! Many of the cool details I discovered in the Impala come out of the MyLink system. Something that will win over gadget freaks (like me) is the motorized screen. Touch the button and it slides upwards to reveal a carpeted storage area with a USB plug. Love it! I also really liked how Chevrolet has evolved the relatively familiar radio preset. With MyLink, these presets (you get 60 of them!) aren’t limited to radio stations anymore. You can pop in a buddy’s phone number, or perhaps an address on your navigation system that you frequent. Simple, forward thinking. And there’s what MyLink calls a “valet mode”. Activate it with a PIN and it will hide all of the personal data you’ve entered into the system — home address, contacts, you name it. And on top of it, it locks that little storage space behind the motorized screen, effectively creating a little safe within your car. Well, it turns out that Chevrolet wasn’t joking around when they set out to rework the Impala. In my opinion, they’ve come up with something that is no longer the champion of the rental and taxi fleets. Instead, I found a desirable car that offered plenty in terms of comfort, luxury, technology and performance. Looks are a personal things, as always, but I feel that they hit the nail on the head in that department too. 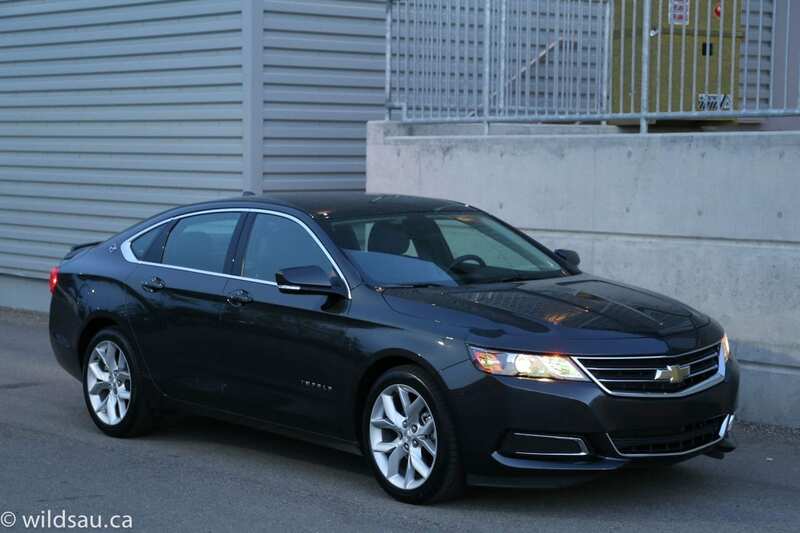 I give the 2014 Chevrolet Impala an 8 out of 10. WAF (Wife Acceptance Factor) was middling. 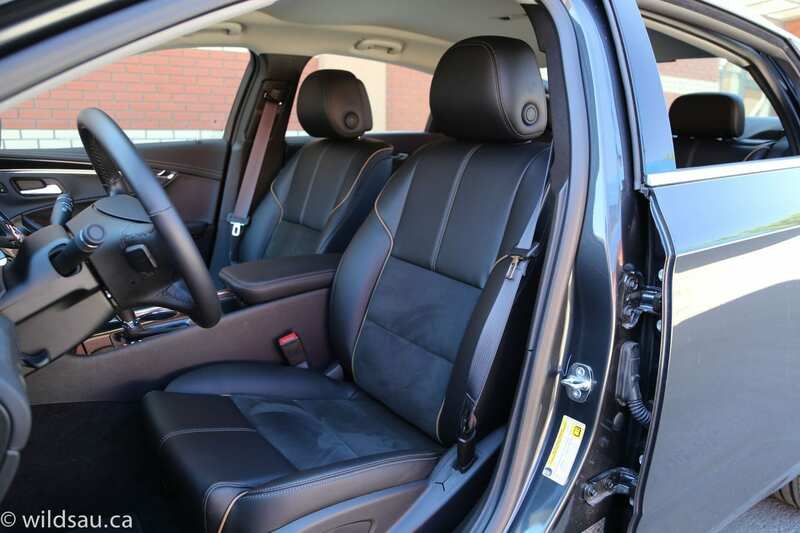 She did like the exterior and interior styling, saying there was a lot to look at, but she felt the car was a bit too long for her to be comfortable with, and had a tough time with parking it. 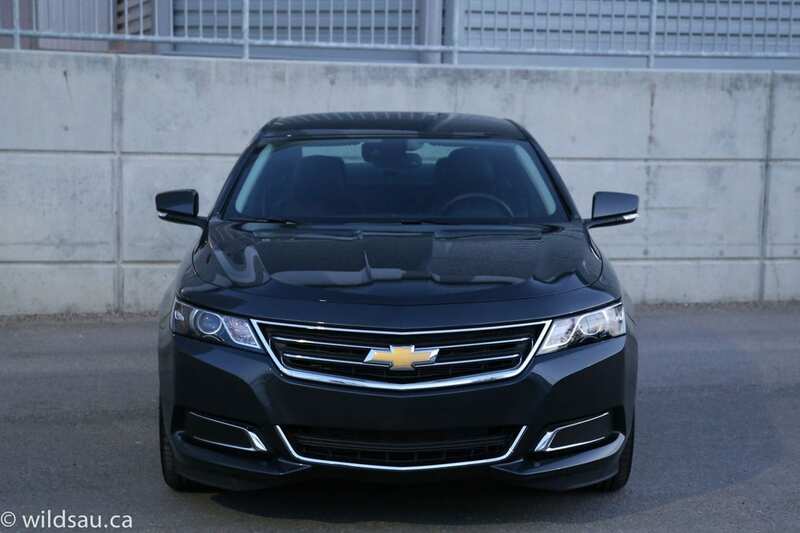 If you’re in the market for a large sedan, you’d do well to check out the new Impala. It doesn’t need to sit on the porch any more – it’s ready to run with the other big dogs. I really appreciated that it doesn’t apologize for being an American car. It’s big, it’s soft, it’s audacious and it’s not ashamed of being a good American automobile. Did I just say good? I’d go so far as saying great. 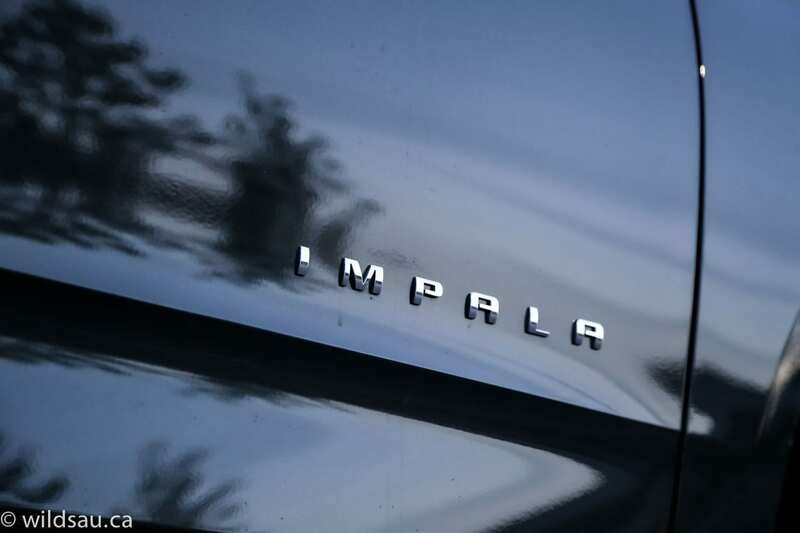 Welcome back, Impala!